Recently, NAREB (Nantucket Association of Real Estate Brokers) lightened the rules to become a member of our organization per the DA's instruction. Reason being that the more choices the consumer has, the better for the consumer. I'm wondering if those were sound instructions, though. 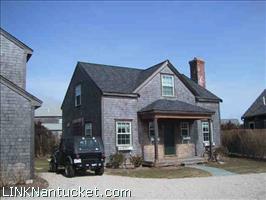 There are a lot of nuances with Nantucket real estate and if the broker doesn't know them, the consumer could get hurt. 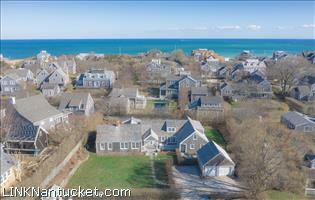 For instance, you own a lot in LUG-1, 40k sf, zoning, but your lot is actually 80k sf and shaped like the coast of ACK, do you have one, two or more lots? How do you calculate the R-Factor? Wait, what is the R-Factor? We love Summer and love making it happen at JPFCO. 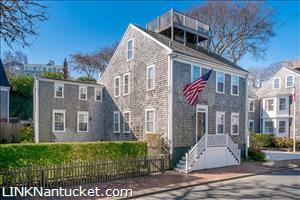 The small things in life go a long way and there is lots of love on ACK. The other day we had a Buyer that had just moved into their new house but they had a problem with their heating system, time to make it happen JPFCO style. Due to the cool start to this summer; We have half a cord of wood delivered to the house. JPFCO shows up to the house and lights the fire for the family. The family is warm and the heating system is fixed. Our clients are our friends and our friends are our clients. We are here to make it happen at JPFCO 24/7!!! Alas, Summer is here! Nantucket's summer personality explodes with color, energy and a vibe all it's own. 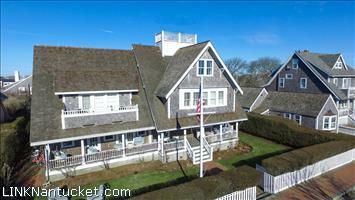 With more homes in our rental inventory than ever before, there is still plenty of opportunity to find the perfect beach house for your Nantucket summer get-a-way! Check out these 4 houses with completely different 'personalities' in 4 distinctly different areas of the island! 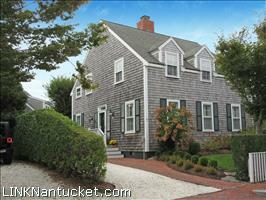 6 Delaney is a 5 bedroom, 4.5 bath home located in a charming neighborhood just off Cliff Road, just outside of town. It offers a great floor plan, great outdoor space including Blue Stone patio with a fire pit and is in walking distance to the beach! 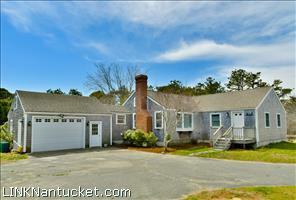 24 Long Pond Drive is a fabulous summer compound with everything your family and friends are looking for in Madaket! Hear the sound of the surf from this casual and contemporary 5 bedroom house and 1 bed guest cottage set on lovely grounds with a beautiful pool! 21 Woodbine Street, featured in Traditional Home Magazine, is a wonderful private property set on over 1 1/2 acres of land and is just minutes from two of Nantucket's loveliest beaches. Bright, airy, and super modern, enjoy 7 bedrooms and 6.5 baths, outdoor fireplace, oversized pool and cabana; perfect for casual, yet elegant summer dining! 14 Bishops Rise, located in sought after Dionis, this spacious 7 bedroom house and cottage family compound lies on almost 2 acres of elevated land; enjoy multiple decks, beautiful ocean views, spectacular sunsets and a new pool! This incredible compound consists of a four bedroom main house and a two bedroom cottage with nice separation, space, and landscaping. 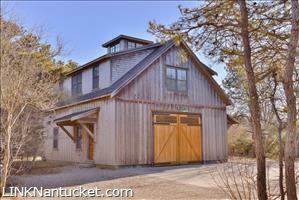 This well built property is situated on a bucolic 2.17 acres. Built by Sanford Rose the two properties naturally promote indoor and outdoor living. Beautifully landscaped and a lovely rear garden patio abuts 294 acres of conservation land. This is a serene, private, and peaceful property. 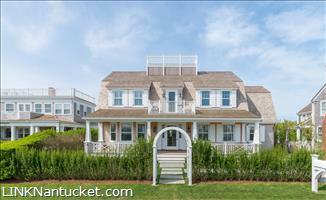 Beautiful views of the harbor from the second floor while cooking dinner or relaxing in the main living room. Enjoy the refreshing Atlantic Ocean for an end of the day swim or surf casting. Come and experience the unique beauty and calm that Squam has to offer. You will never want to leave. Property is currently under review for potential to subdivide. Well, she's finally here. And in a word, not normally included in a guy's lexicon, she is adorable. Big soft brown eyes. Toes that smell like popcorn and a nose that looks like a black Mason Dot. On tune now. Popcorn toes and a Mason Dot nose, Ho Ho. Floppy brown and white ears, fuzzy feet and a little tail that is constantly wiggling. Oh, in case I forgot. She's a dog. A long-haired Jack Russell, to be exact. This is her first excursion to Nantucket and she has already found Nirvana. And that without yet spying her first Mail Man, mind you. Nantucket is, among other things, a terrier's paradise. Rabbits, squirrels, moles, and rabbits. Lots of rabbits. Rats. Too many rats and that is a Jack Russell specialty: The decimation of rats. And so while the rest of the world seems to be striving for peace, we have welcomed into our world, one word: CHAOS. But I love her. It's great to be back in Nantucket and let's hope for a bountiful summer.